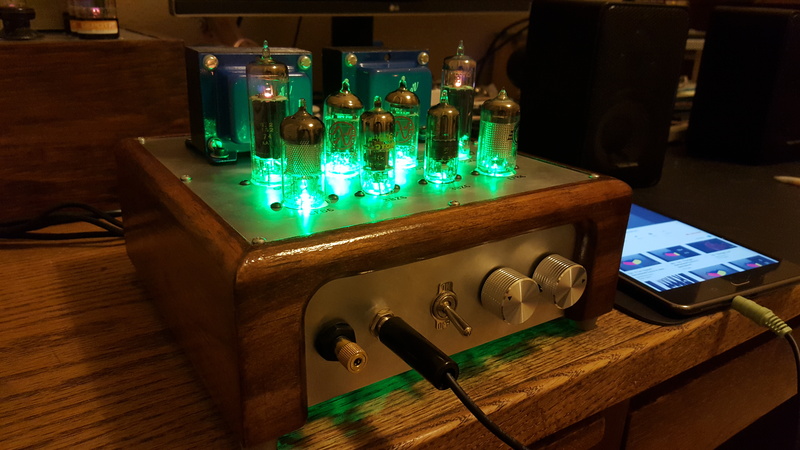 Desktop audio amplifier for paring with a PC. 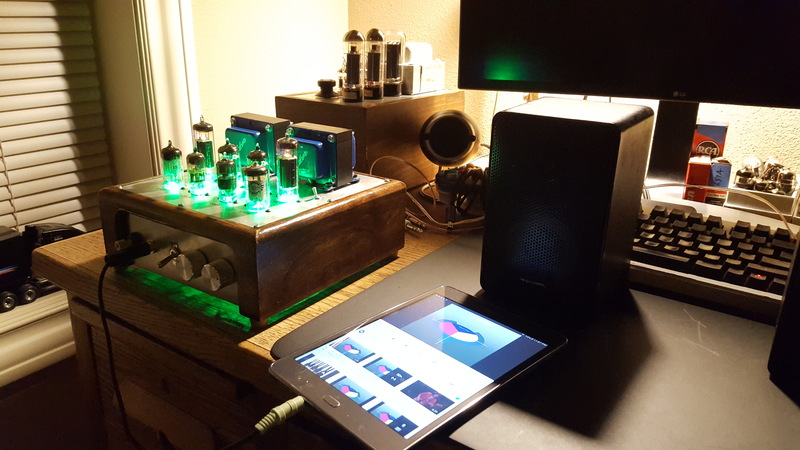 Intended for low-level music playback and computer sound system. 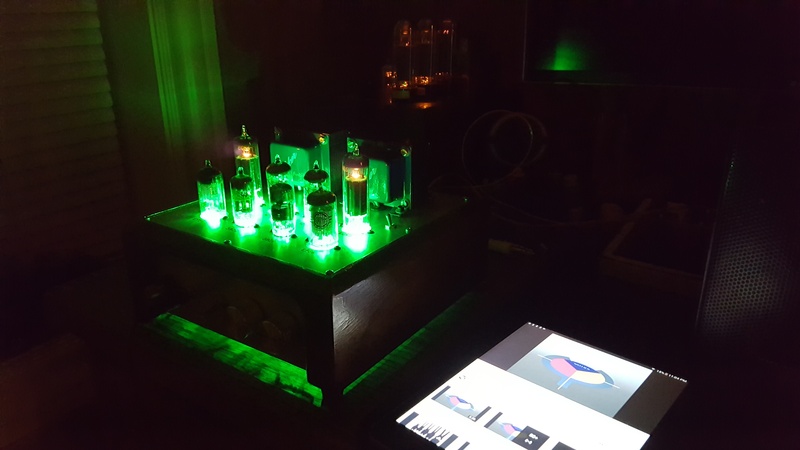 The design uses antique vacuum tubes as the active amplification devices. 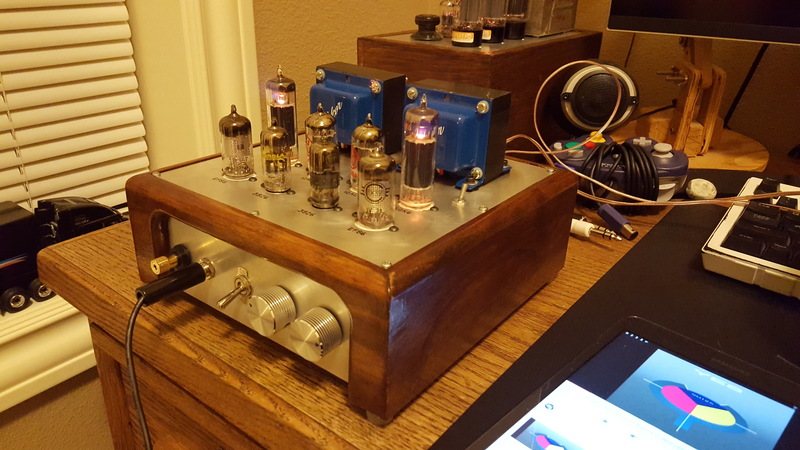 The design is single-ended, using an audio output transformer to couple the tubes to the speakers. 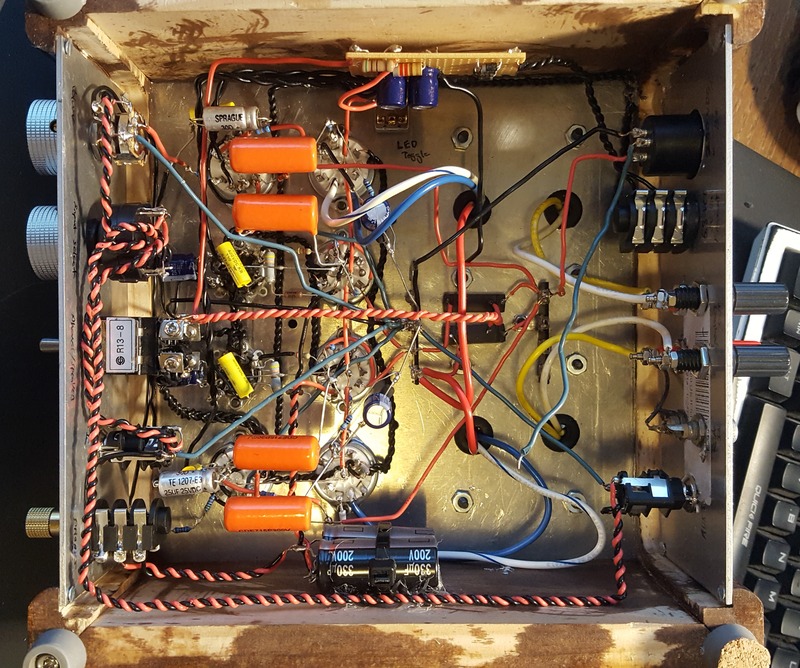 The circuit is an original design, as is the enclosure. 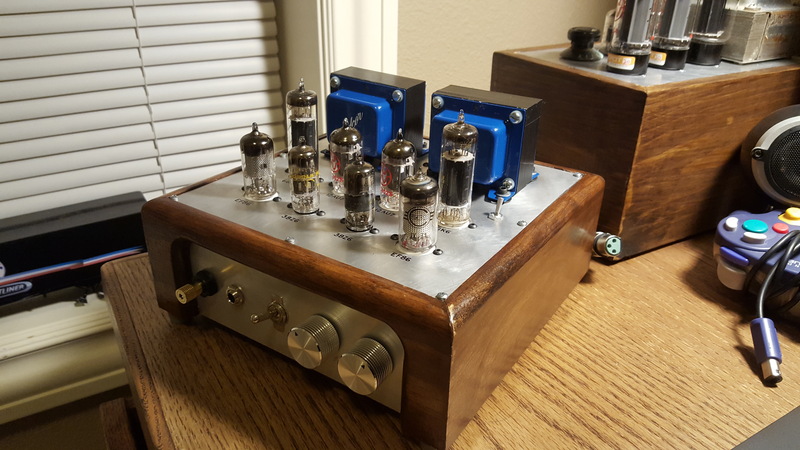 Output is good for about 1.5 Watts at reasonable distortion.